Have you just discovered ancestors residing in a Victorian town or suburb and want to know more about the environment in which they lived? If so, you may be interested in the Victorian Places website written and researched by John Young and Professor Peter Spearritt and edited by Professor Spearritt and Dr Marion Stell. The website combines original research with newly digitised sources to provide the historical and current context for over 1600 Victorian settlements including cities, towns, villages, suburbs and shires. Entries are illustrated with historical and recent photographs held in private collections and provide references to sources for further reading. Entries are also accompanied by a Google map of the area of interest. Ballan. 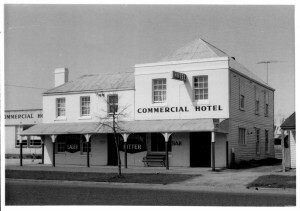 Commercial Hotel, south side of Main Street. J.T. Collins Collection, La Trobe Picture Collection, State Library of Victoria. H90.100/675. The entry for Ballan, for instance, shows that it became a thriving town during the gold rush years receiving trade from passing traffic on its way to the Ballarat gold diggings. 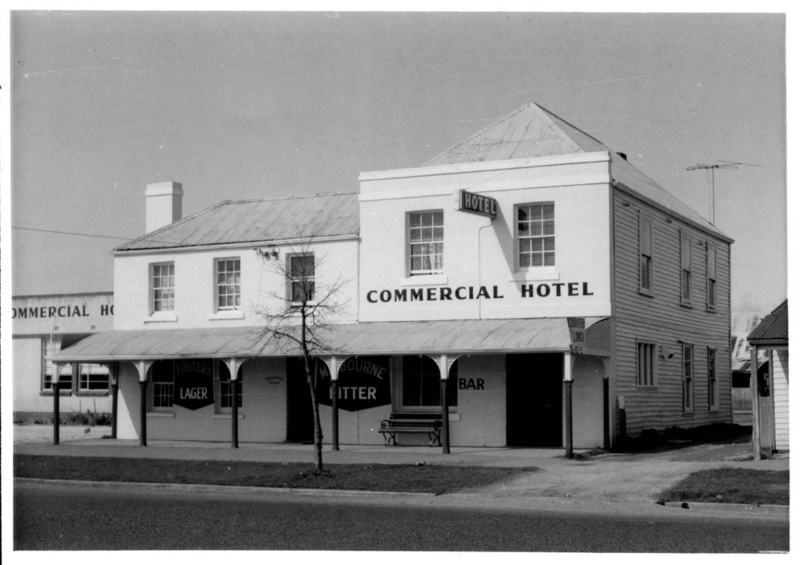 Ballan developed rapidly and by 1903 it had seven hotels, a state school, mechanics institute, a library with 2,000 volumes, Masonic, Oddfellows, Foresters and A.N.A. Societies, four churches, a monthly cattle market, Shire Hall and Court House, a cricket and recreation reserve, a mineral spring, creameries, a flour mill and its own racecourse. Local landowner, Donald Wallace (Victorian Legislative Councillor and Shire Councillor) owned two Melbourne Cup winners, Mentor (1888) and the all-time great, Carbine (1890). Donald Wallace (standing third from the right) and daughter Ethle Wallace (seated third from the left) appear in the photo below. 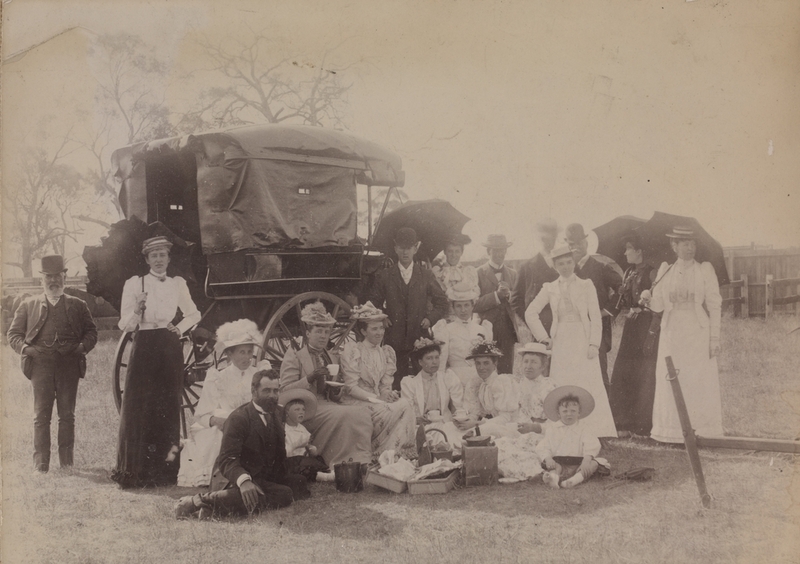 Picnic at the Ballan Agricultural Show, 1899, La Trobe Picture Collection, State Library of Victoria. H41149. Local residents would have been very proud of their town.